You are browsing the archive for Compromise Detection. Can we stop detecting mimikatz please? 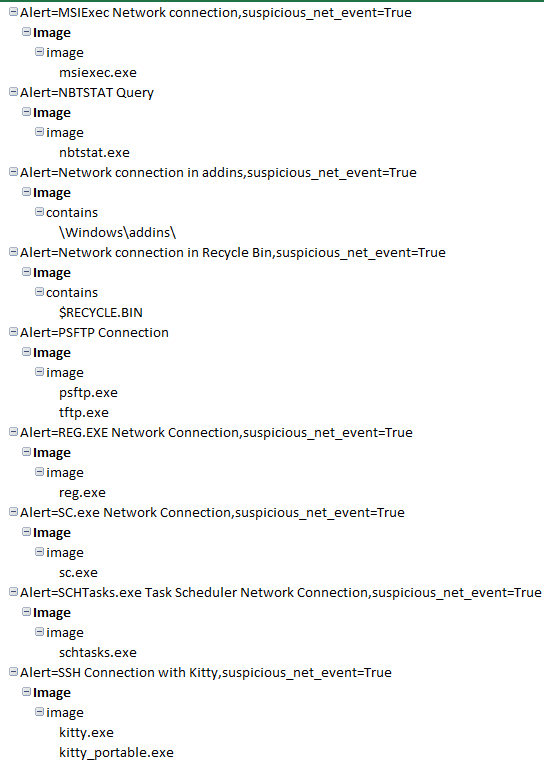 I was playing a lot with sysmon config recently, and spotted that there are at least two underutilized events that are most of the time omitted from the publicly available sysmon configs. And if they are included, they typically focus on mimikatz. After a short discussion on Twitter, I decided to write a post about these two. The ProcessAccess is an event that is triggered when process tries to get access to another process, and succeeds. Once you get the access granted, the process handle is given to your process, and you can use it in subsequent calls to allocate virtual memory, write to memory, read from memory, etc. – you pretty much can do whatever you want with that process. ProcessAccess event logs _granted_ access events; it means they were successful. This is why sysmon logs for the ProcessAccess event are very frustrating. There are just too many of them! Filter down the rest and look for some interesting cases. This is a tricky one. We don’t want to see OS libs, we don’t want to see clean libs. We only want to see suspicious libs. Some analysts suggest looking for vbe*.dll loaded into Office programs to detect Macros being executed. Still, these focus on a very narrow set of use cases i.e. mimikatz PowerShell libraries, Office Macros. But there is always more. Many of these are related to malicious activity one way or another. Some are from old malware, some only work on Windows XP or Windows 7, but it doesn’t change a thing. Even an old commodity malware needs to be detected, if accidentally executed, no? Same for functionality that some of these libraries offer – network sniffing, generic hooking, password decryption, killing processes, self deletion, etc. And in an extreme case, we could build a baseline of all DLLs executed on all monitored systems over a period of time, and then build exclusion rules for all of them. Any new DLL could be highlighted. There is no simple way to put together a config that will cater for all cases, but I think we need more rules that go beyond the mimikatz detection. Any suspicious process that we can spot quickly by seeing it establishing access to other process it is us discovering a precursor to code/data injection. 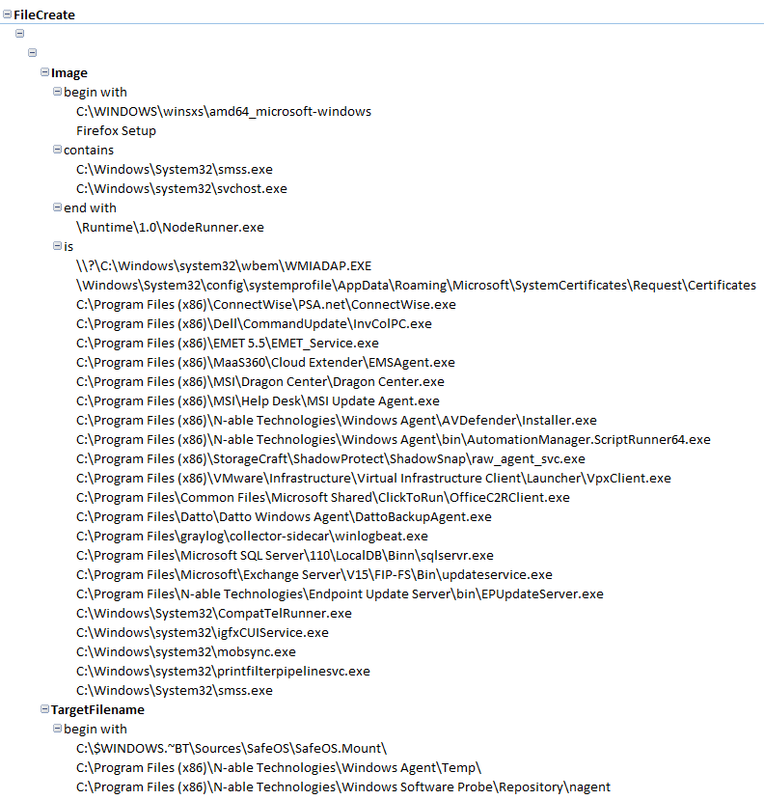 Any process that loads a blacklisted DLL needs to be inspected pronto. Comments Off on Can we stop detecting mimikatz please?